Scottish food is somewhat of a mystery to me. Despite being a Brit and in relatively close proximity to our Northern neighbours, I never made it up there in the 20 years I was in the UK! The closest thing I ever got to Scottish food was Scotch eggs from Marks & Spencer and “Scottish” salmon from Tesco! 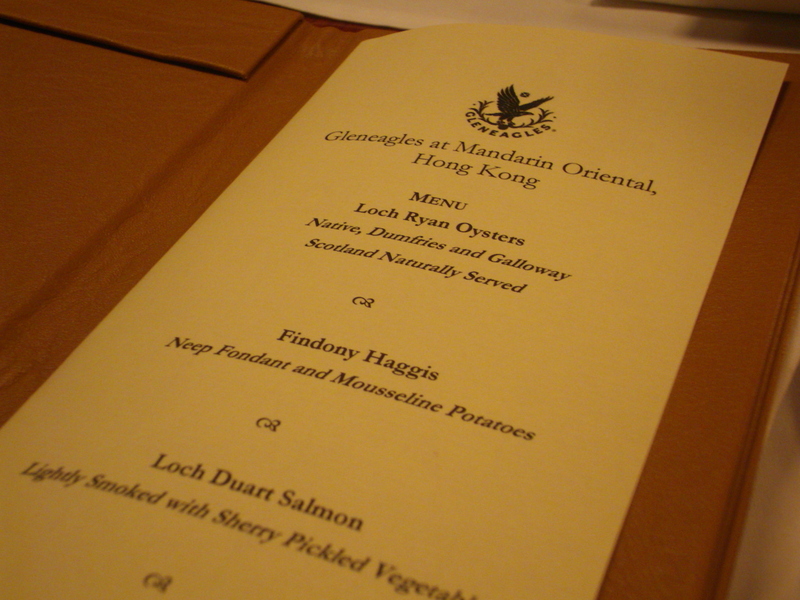 So I was delighted to be invited by the Mandarin Oriental last week to sample some of the finest Scottish dishes and whiskies courtesy of the famous Gleneagles Hotel, during their 5 day “Taste of Scotland” event. I was beyond excitement when I sat down with a small group of fellow food bloggers at The Chinnery, and as I cast my eyes over the menu, I was struck by an enormous wave of salivation. The entire evening proved to be an education for me as I’m neither a whiskey drinker, an oyster lover or well acquainted with that most beloved of dishes- haggis. To ease us in gently, the Bar Manager of the Gleneagles, David Sinclair, made each of us a whiskey mojito, a prelude to the harder stuff I was frankly terrified of trying. 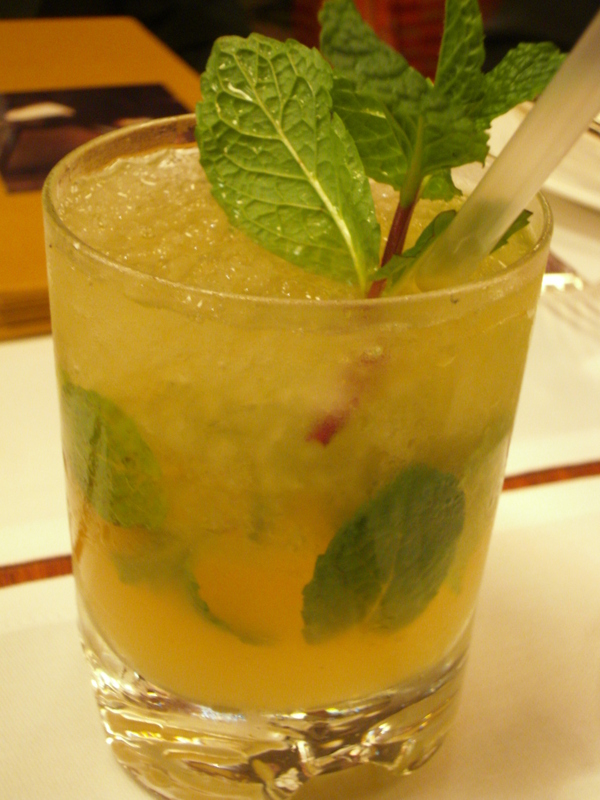 I’m not a whiskey fan, but that mojito was yummy and refreshing, so I was pleased my taste-buds didn’t recoil in horror and scream for a vodka. Our first, sublime dish was the trio of Loch Ryan oysters, native to Dumfries and Galloway in Scotland, and naturally served in Scotland. 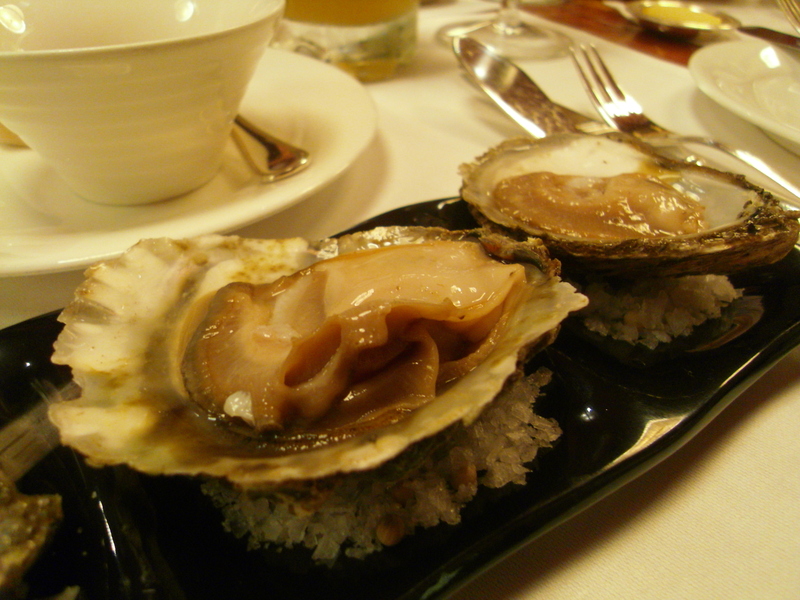 These perfectly formed, small and delicate oysters were so fresh and had a metallic undertone, with very little fishiness to the smell and taste. 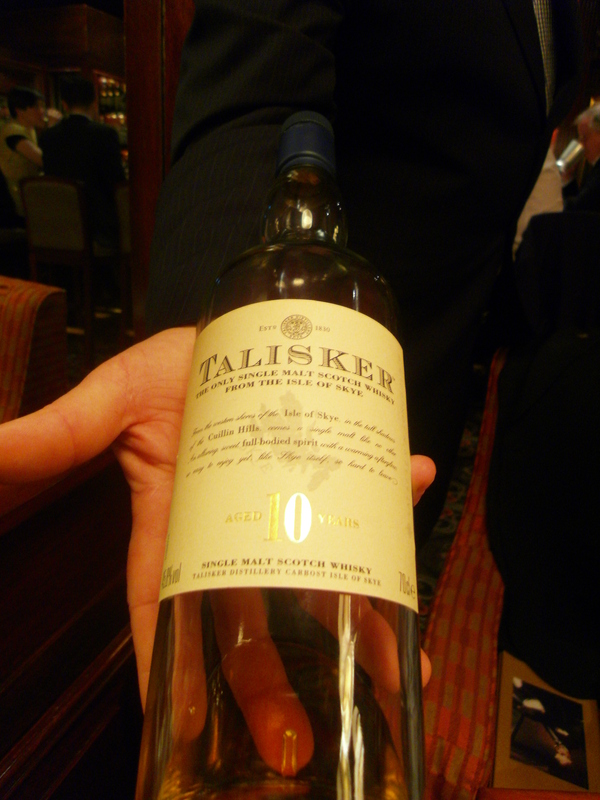 We were recommended to pair them with the Talisker whiskey, but I personally preferred it without, with a squeeze of lemon. 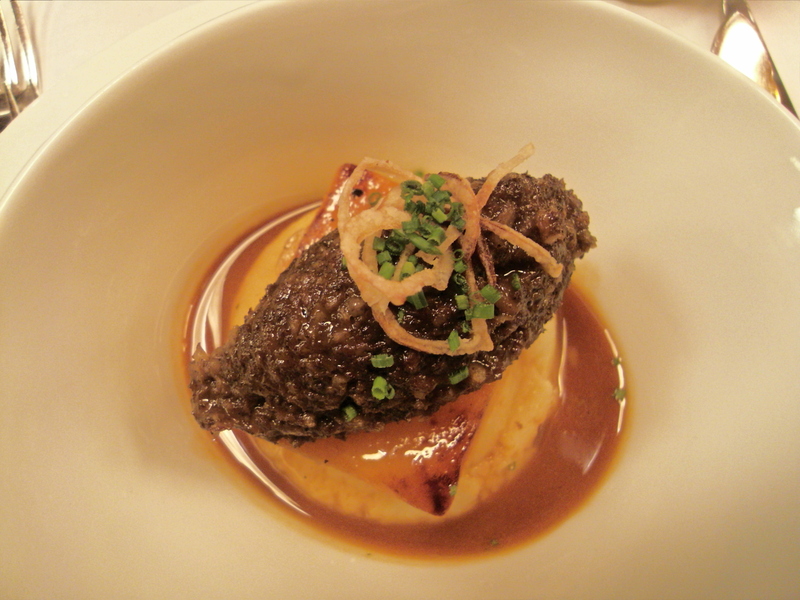 The second course was the mostly hotly anticipated: the Findony Haggis with Neep Fondant and Mousseline Potatoes, served with Tullibardine whiskey. Haggis is a savoury pudding, the contents of which traditionally cause people to run in the other direction. I’ve always had my reservations about this dish, so I was extremely curious to find out if I’d enjoy it. It did not disappoint. It was beautifully prepared with a nutty texture and tasted like a slightly spicy steak and kidney pie, but intensified five-fold. 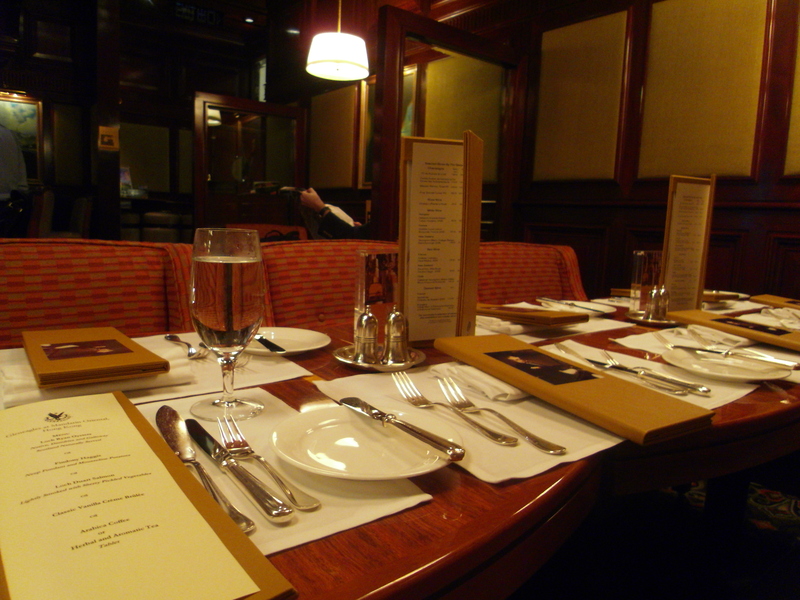 Due to the delicacy of the offal taste, my fellow diners and I wondered if the Gleneagles served a more refined version of the Haggis compared to local establishments in Scotland. 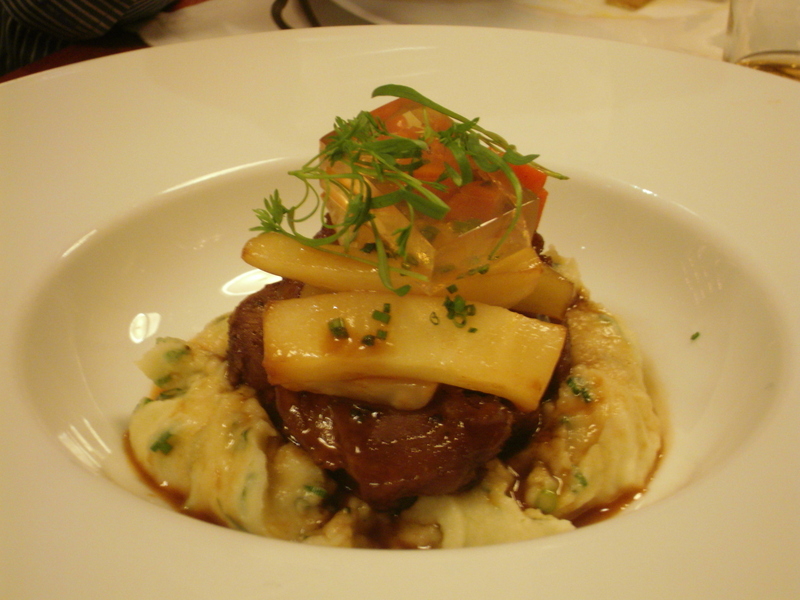 I loved the neep (yellow turnip) and the potatoes which complimented the haggis wonderfully. An extremely comforting dish! Next, was the Loch Duart salmon, lightly smoked with Sherry pickled vegetables, accompanied by the Highland Park whiskey from Orkney. 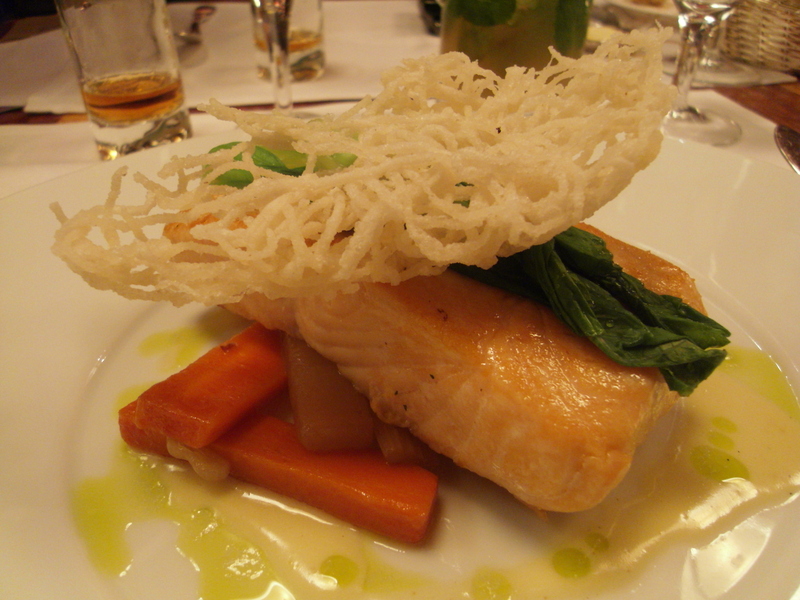 This organically farmed salmon was lightly smoked and seasoned and totally delicious. It was hard to take my time savoring it and not to shovel all of it in my mouth! It wasn’t on our menu, but as we’d heard rave reviews about the Seaweed fed lamb shoulder with thyme and honey roast roots from the lunch menu, we requested only one to share amongst ourselves. I adore lamb, and the meat was gorgeous: tender, juicy and full of flavour. 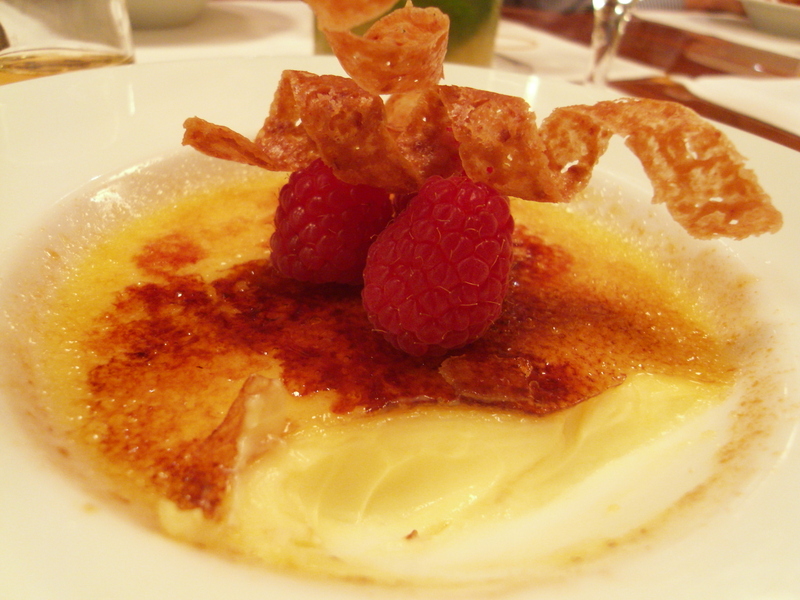 To end, we had the Classic vanilla crème brûlée. It was perfection. I’m salivating just thinking about it. 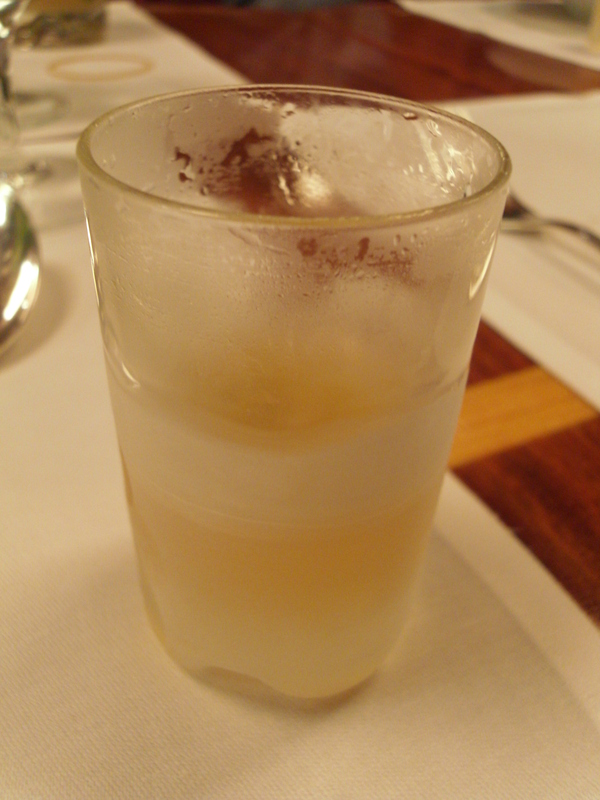 The whiskey served with it was a Dalwhinnie, frozen, so that the viscosity changes and makes it smoother when paired with the dessert. 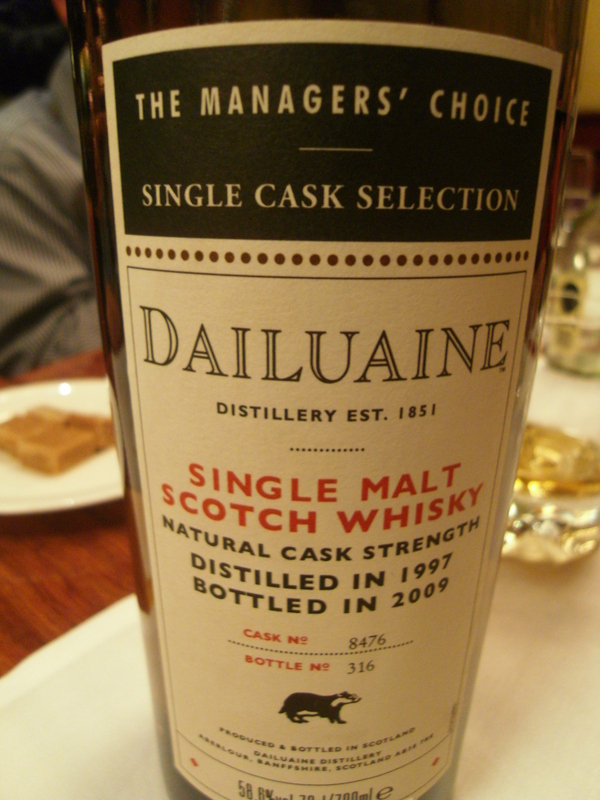 I enjoyed this Dalwhinnie above the other whiskies due to its fruity, sweeter undertones. 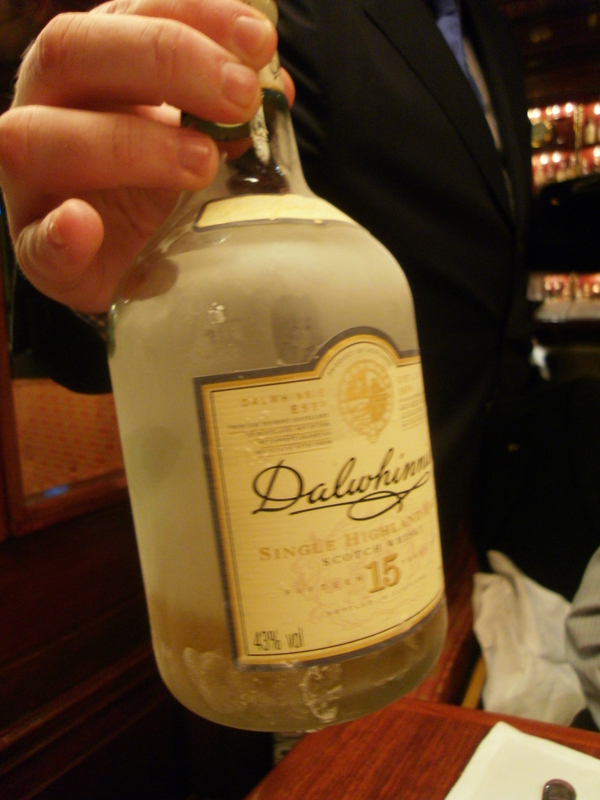 As a treat, David Sinclair brought out a 12 year old Dailuaine whiskey straight from the cask, for us to try. I tried my best to use his whiskey wheel chart to “nose” out the aroma, but failed miserably. Barely a sip and the whiskey burned my nose and my throat, even when diluted with water. Think I’ll leave this one to the experts! 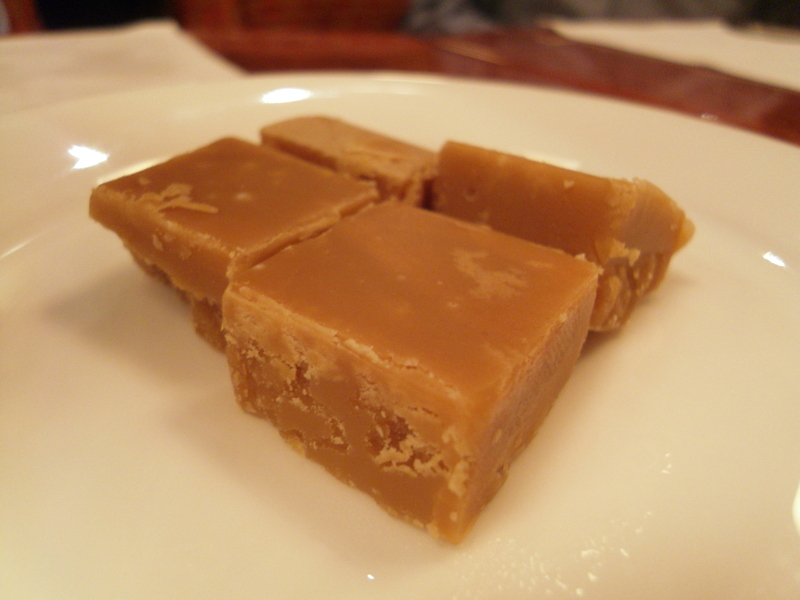 As the evening wound down, we sipped our coffees and teas and nibbled on Scottish tablets (fudge squares). Great texture, not too soft and more importantly (or dangerously) not too sickly sweet. I could’ve scoffed the entire plate, but that would’ve been most unladylike. A fantastic evening with fabulous company: what an experience. Thank you Mandarin Oriental! 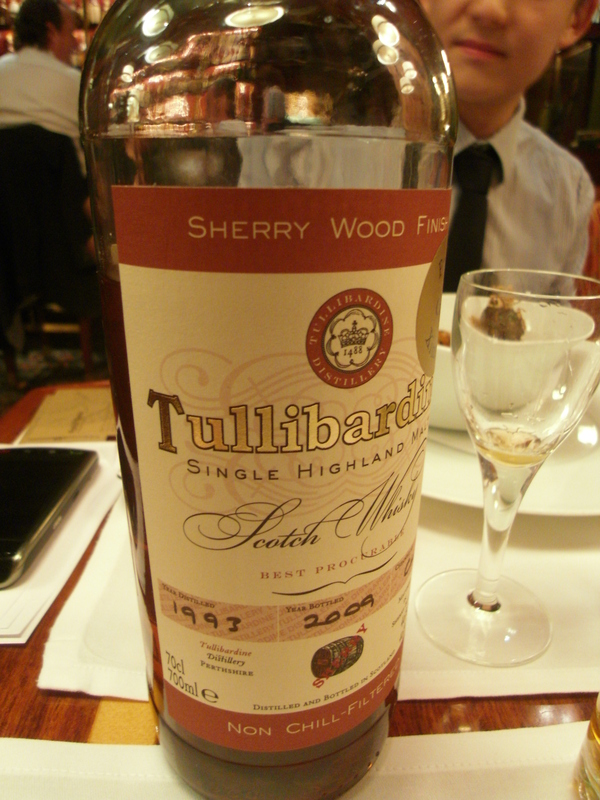 Categories: Scottish | Tags: Dailuaine, Dalwhinnie, Dumfries and Galloway, fudge, Gleneagles Hotel, Haggis, Highland Park whiskey, Loch Duart salmon, Loch Ryan oysters, Mandarin Oriental Hong Kong, MO, Scotland, Scottish tablets, The Chinnery, Tullibarine, vanilla creme brulee | Permalink.